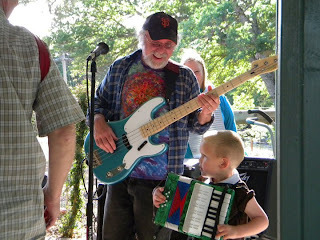 Still mending and adjusting to this new phase in my life. For example: instead of 3 pieces of left over pizza for breakfast I now have a bowl of Go Lean Crunch with a heaping portion of wheat germ over the top. Reading labels has become a new obsession. 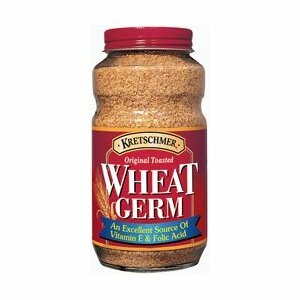 Did you know that wheat germ has no cholesterol and no sodium? Little discoveries like that make my day. Or did you know that a serving of sardines has 40% of a day's allowance for cholesterol? Needless to say the sardines didn't make it into my basket. Tomorrow I go get oriented for Mercy's cardiac conditioning class. I guess you get 20 minutes of education and then they hook you up to monitors and exercise you for 40. My insurance should cover it for six weeks 3 times each week. I really do want to get back to working out, I had been slacking for a month or so before the "event" and been laying low since(2 1/2 weeks) Starting to lose muscle tone. I am determined to use all this to my advantage, it's time to get real about my health!! Heart disease changes your look at life, even a small event like mine points to so much: my state of denial and the preciousness of life for example. I can imagine how life changing a major heart attack would be. In my case, it happened in such a way as to be a blessing, hopefully it will help me have many years of living, loving and grooving!